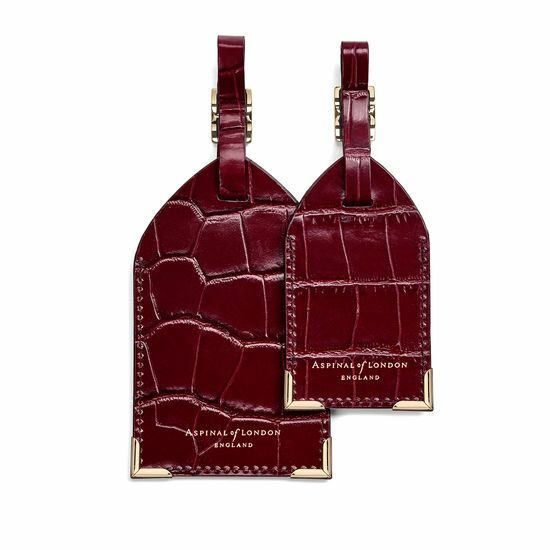 Take the stress out of the arrivals hall with our Set of 2 Luggage Tags, lovingly handcrafted from eye-catching croc print Italian calf leather in a deep shine bordeaux hue that will complement any shade of luggage. 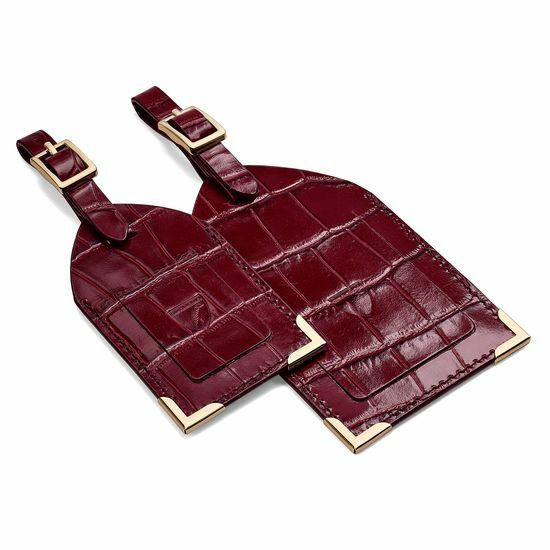 With one large and one small tag you can ensure both your carry-on and your hold luggage will be easily identifiable in supremely elegant style. Matching tonal stitching and gold-tone hardware edging give a sophisticated yet durable finish. 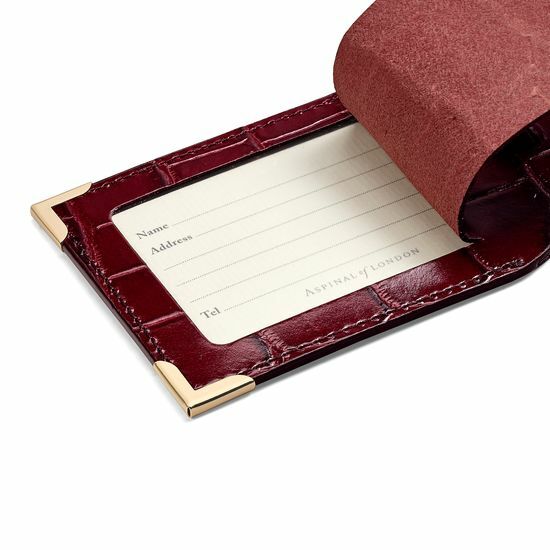 A gold foil signature address card is included for a luxurious finishing touch. Personalise your tags to make them even easier to spot.